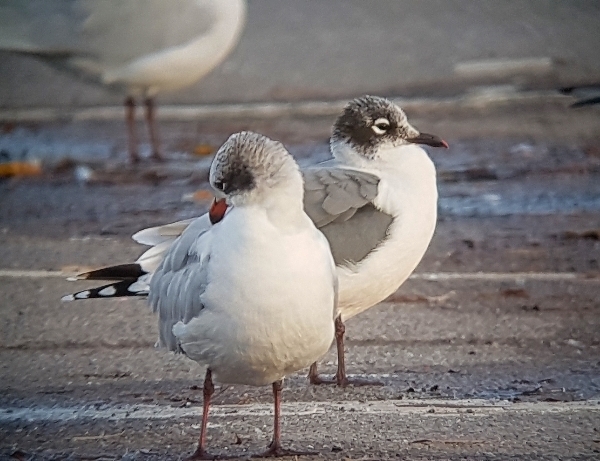 Radipole Lake is a 45 minute drive from our home in Stoford and I had heard that a Franklin's Gull had been seen on the car park yesterday around 4pm. I set off at 2:30pm and arrived at 3:15pm, my first stop was at the north end of Radipole Lake because a Ring-necked Duck had been seen there for the last few days. I parked by the tennis courts and viewed the lake from a fisherman's landing stage. The first-winter male Ring-necked Duck was floating around with about 20 Tufted Ducks, a single Common Pochard and a few Gadwall sat in the reeds. It was asleep the whole time I was there, it was not even a year tick!! 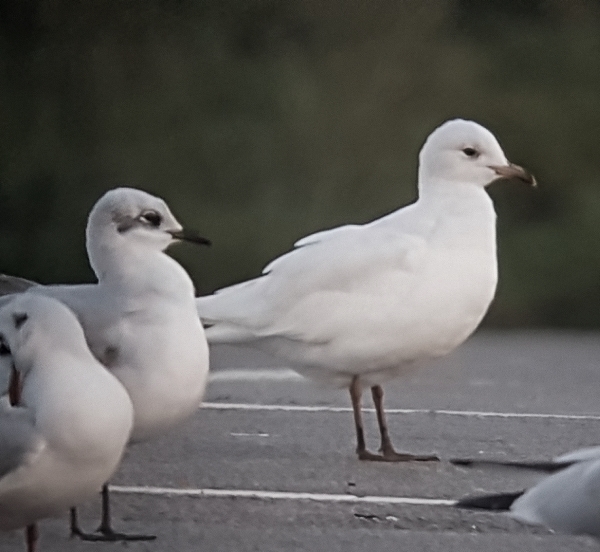 On the car park a number of birders were scanning the through about 200 gulls for the Franklin's, most of the gulls were either Black-headed or Mediterranean, but a few Common Gulls and a couple of Herring Gulls also dropped in. 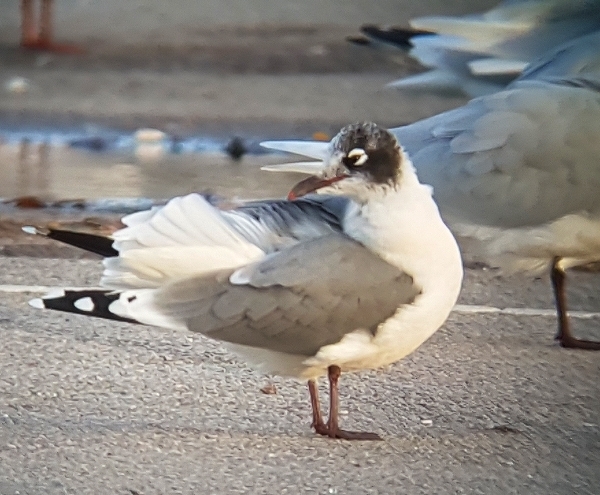 About 4pm the Franklin's Gull dropped in, this American Bird stood out like a sore thumb. The bird stayed for about 15 minutes before zooming off. 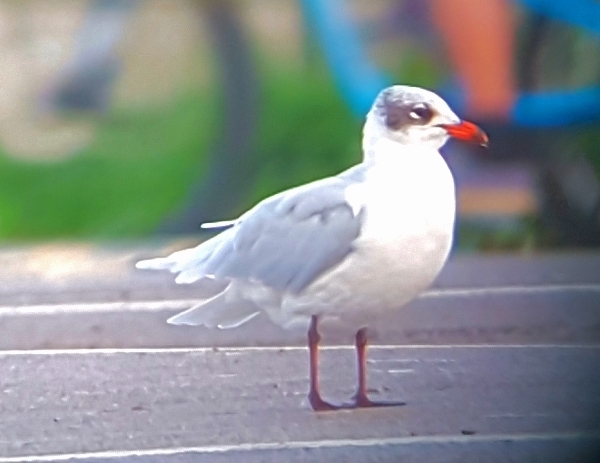 In the meantime I searched the area of the lake close to the visitor's centre looking for a Ring-billed Gull, another American Bird, that had been seen there yesterday.I never saw this gull. Before I got back into the car a very unusual looking gull turned up, it had completely white feathers, with red legs and a red and black bill. 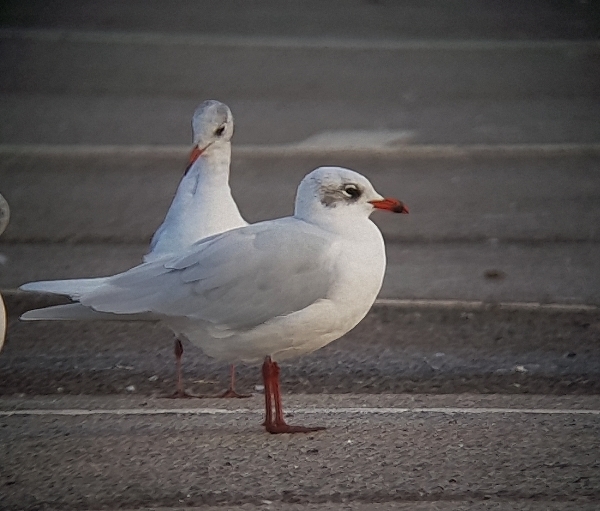 It was a leucistic Mediterranean Gull. I left just before 4:30pm and arrived at 5:15pm. Call it a twicth if you will.